Memorial Day, 2011. It's reported that DC Comics is rebooting their universe and going forward under the branding "The New-52!" Do you remember where you were when you heard the news? Chris (@acecomics) and Reggie (@reggiereggie) do! This week's classic reupload is their discussion of The New-52!, their feelings on hearing the news, what they felt worked... and what didn't! Don't worry, this isn't a total DC-chat, Marvel wasn't going to let them get away with bombarding the shops with new #1's... that's their gig! Our semi-recentstorians also discuss Marvel rebooting their last remaining Silver-Age "legacy numbered" title, Uncanny X-Men. They wrap up their conversation by discussing the passing of industry legend, Dwayne McDuffie. 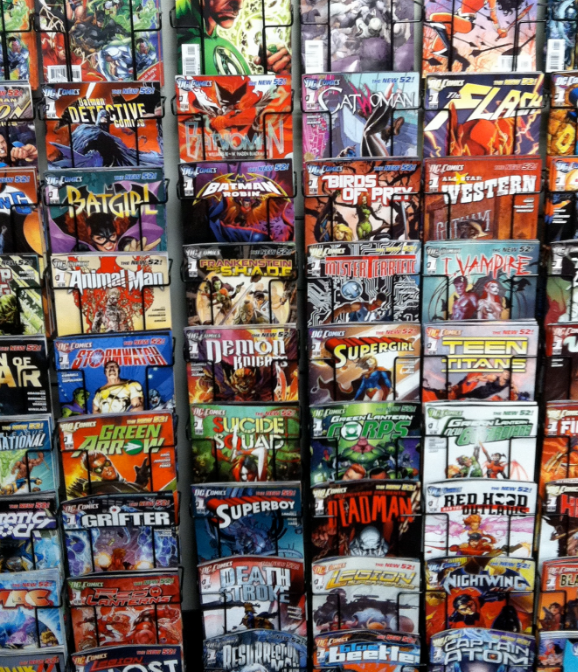 Also, Did you know: DC Comics didn't officially drop from the Comics Code Authority until 2011? Neither did Archie! Have any memories of the year 2011? Is it too soon to be nostalgic? Let us know! 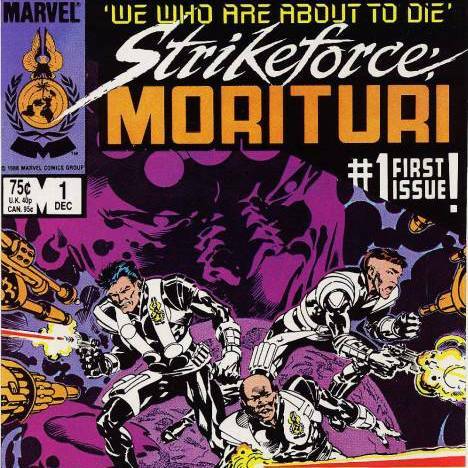 This week, we who are about to die Chris (@AceComics) and Reggie (@reggiereggie) check out an offbeat Marvel comic from 1986, Strikeforce: Morituri #1 by Peter B. Gillis, Brent Anderson, and Whilce Portacio! After the usual biographical information, they look at the origins of the phrase "morituri" and when it became part of popular culture. 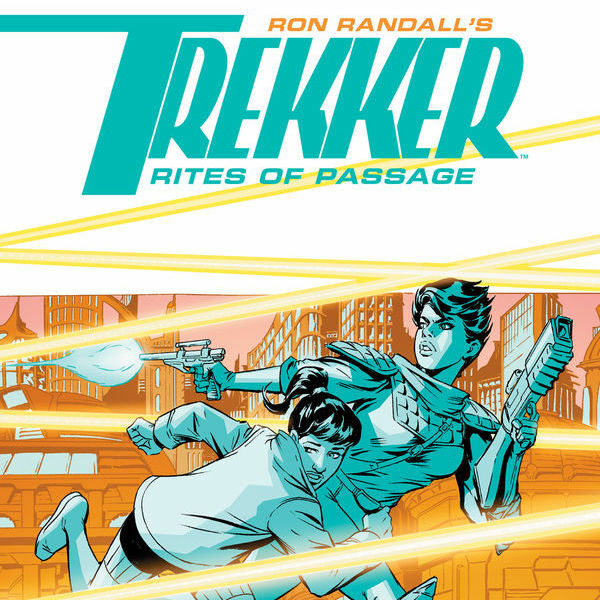 Then, our time-travelers dive into a dystopian future where the world is under constant threat of alien attack, and is protected by...Joe Piscopo. After some discussion about potential adaptations of this property that never were, Chris tells a story about the eerie parallels between this series and his real life at the time that he read it. All that, plus a crack at the listener mailbag! You won't want to miss this trip into a dark and strangely-dressed future! 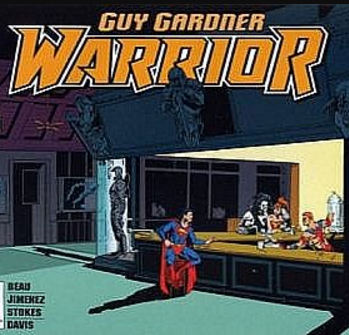 For this week's "classic" upload, Chris (@acecomics) and Reggie (@reggiereggie) belly up to the bar at their favorite watering hole... Warriors! Along the way we'll meet a veritable Who's Who in the DC Universe (see what we did there?) and keep our fingers crossed that no party crashers show up to trash the place! Either way, it's gonna be a good time... so check it out! "Cool it, Man! You Had Your Chance!" 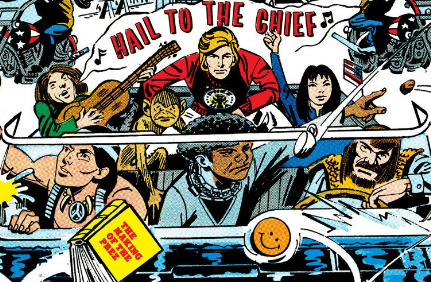 This week Chris (@acecomics) and Reggie (@reggiereggie) get ready to hail to the Chief when they chat about the unprecedented (pun!) 1972 Presidential election wherein a young man named from Steadfast, U.S.A. Prez Rickard finds himself winning the highest seat in the land! In addition to the comic itself, our registered voters cast their ballot for the DC-cratic ticket of Joe Simon and Jerry Grandenetti. 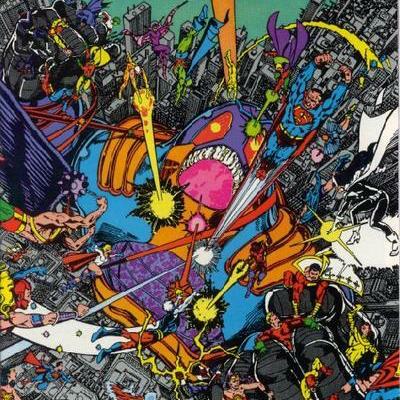 Weird Comics Historians, Reggie (@reggiereggie) and Chris (@acecomics) sift through the reject pile and discuss Alan Moore's 1987 DC Comics pitch, Twilight of the Superheroes. Join them as they break down Mr. Moore's take on a possible future for the DC Universe. If you can imagine it, they're going to be discussing the year... 2000! They will set the stage for the world of Twilight (it's like you're there! ), discuss the entire story and also share Alan Moore's demandments for the perfect comics crossover event! If you listen closely, you might even learn how to defeat Captain Marvel! It's a great time as always, so give it a listen... and they swear, this is not an episode about John Constantine! Wanna read the actual Twilight of the Superheroes pitch? This week, our comics enthusiasts Chris (@AceComics) and Reggie (@reggiereggie) have one last summer fling with the five-part series by Mark Millar and Terry and Rachel Dodson Trouble, which came out on Marvel's Epic imprint in 2003-2004. They'll recap every single issue of this controversial series, paying special vocal attention to issue #5. 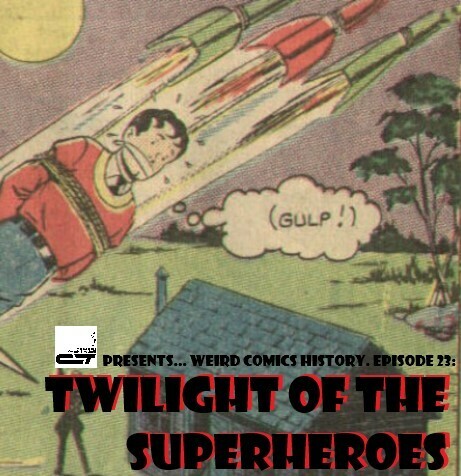 After a break, Reggie and Chris come to a shocking realization about Trouble, and then talk about the climate at Marvel and detail two fellows that were as innovative as they were crass. Plus: how to make $20.000 at Marvel Comics! It's a scintillating look at teenage sexual exploration that Chris and Reggie largely sidestep to avoid feeling like dirty old men! We got... two tickets to Oa(dice), pack your rings we leave tonight! Substitute Lanterns Reggie (@reggiereggie) and Chris (@acecomics) take you on a tour of one man's perceived failure when they (briefly) share the tragic tale of Emerald Twilight. In the wake of Coast City's destruction, Hal Jordan ain't quite feeling himself... after an abuse of power gets the attention of the Guardians of the Universe, they decide it might be time to have a chat with the protector of Sector 2814... a decision that they will likely regret... should they live so long. In addition to covering the issues, our historians discuss the controversy both before... and after the story went to print. 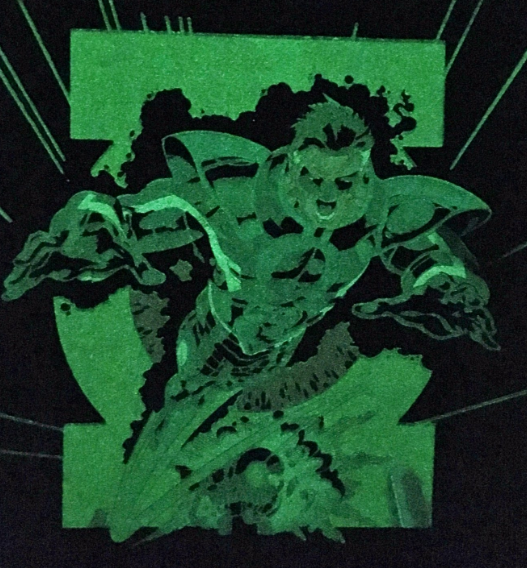 What was Gerard Jones' original plan for the leadup to Green Lantern (vol.3) #50? What does the A in H.E.A.T. stand for? Are there any potential back-doors out of crossing Jordan...'s rubicon? What the heck is a Malvolio? Did the fellas use a lot of this information in their Green Lantern (vol.3) #51 episode??? Listen and find out! Whew! Cosmic Treadmillers Chris (@AceComics) and Reggie (@reggiereggie) pull into the last station on their tour of the 1985-86 landmark DC Comics 12-issue event, Crisis on Infinite Earths! After some recap, they dive into the longest, most detailed, and heavily "voiced" read of Crisis on Infinite Earths #12. Following a musical interlude, our weary duo look at the effects of this event and what they think are the positive- and anti-matters of this series--including their recollections of reading it for the first time! This concludes our 50th episode celebration. And look! We're already four episodes closer to a hundred.